Hey gang! It’s come to my attention that many are having issues loading the weekend link parties because there are so many. Unfortunately I have to do away with ‘something’. And I’m sorry to say, the Food/Crafts/Sewing category will be dropped, starting next weekend. Sorry to disappoint, but I hope you can find the perfect link party elsewhere! There are so many out there that would love to have you on board! This little pillow couldn’t be easier! A line was taped off on a sandbag, then just painted with acrylic craft paint. Once dry, a little pillow was stuffed into a ready made burlap sandbag, then tied with heavy twine. Done! Here’s another with a house number attached. Totally cute! 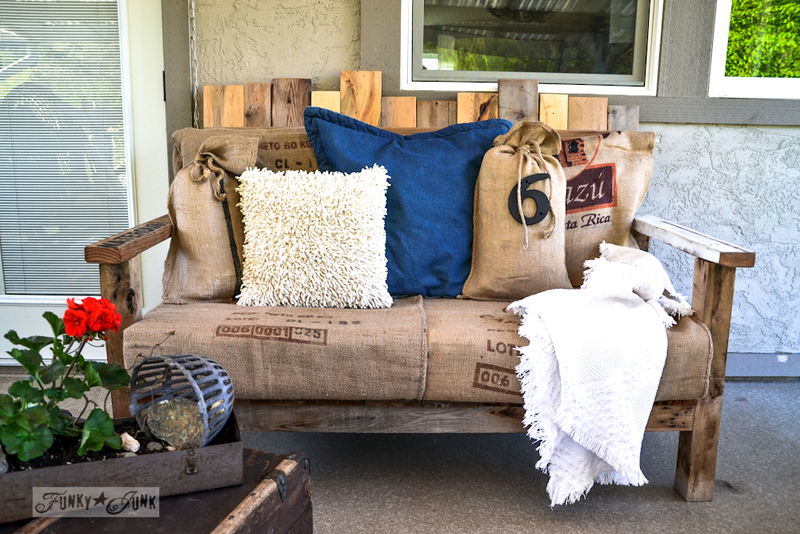 The sandbag pillows are sitting on a bohemian styled burlap upholstered pallet sofa. Not sure why I want to call it bohemian but I do! Along with the pallet chair. The bean bag sacks are really just like oversized pillowcases. Everything here was just tucked into place. No sewing required. 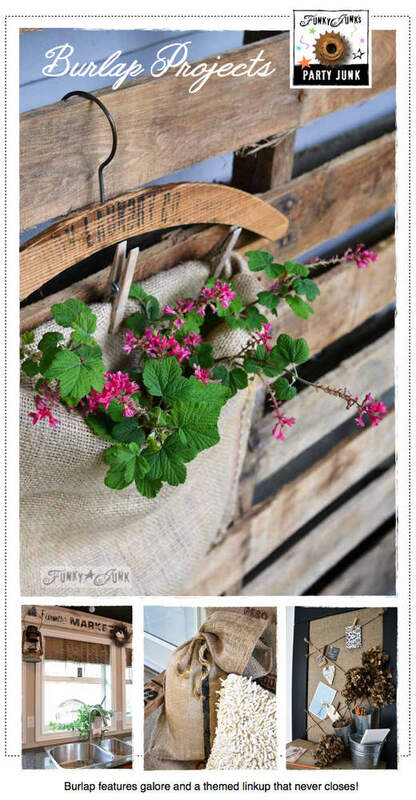 This sandbag is hung on a vintage hanger, held up with clothespins, with fresh flowers added. It’s meant for the front door. For water, I just found a yogurt container with a lid, punched a hole in it and ensured the stems on the flowers were long enough. Still enjoying these bean bag valances in the kitchen! They are actually faux shades that allow the sunlight in without getting in the way of kitchen duty. Win win! This 5 foot tall bulletin board complete with writing shelf was created for my church. Everything used was scraps of this and that. 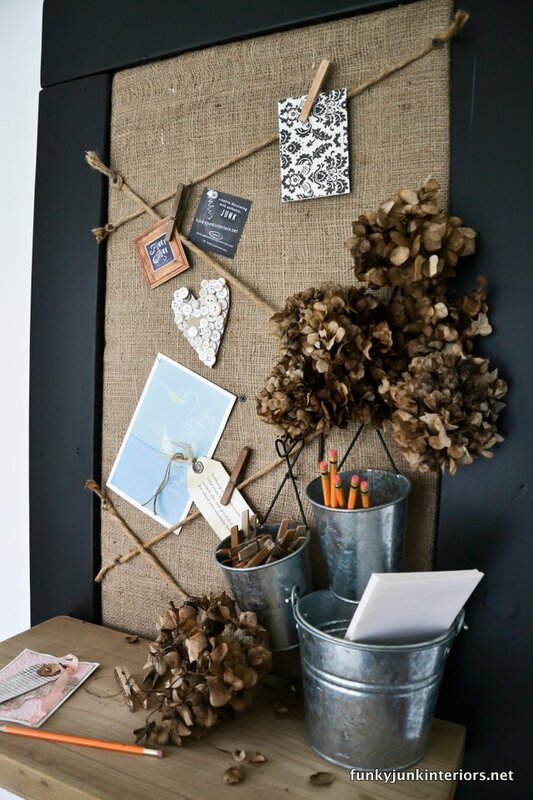 Here’s a fabulous burlap themed clipboard I curated from Hometalk! Your turn! I can’t wait to see all of your amazing burlap creations in this weekend’s 3rd themed linkup! OMG – which burlap project to link? Still so many awesome ideas out there with that fabric. 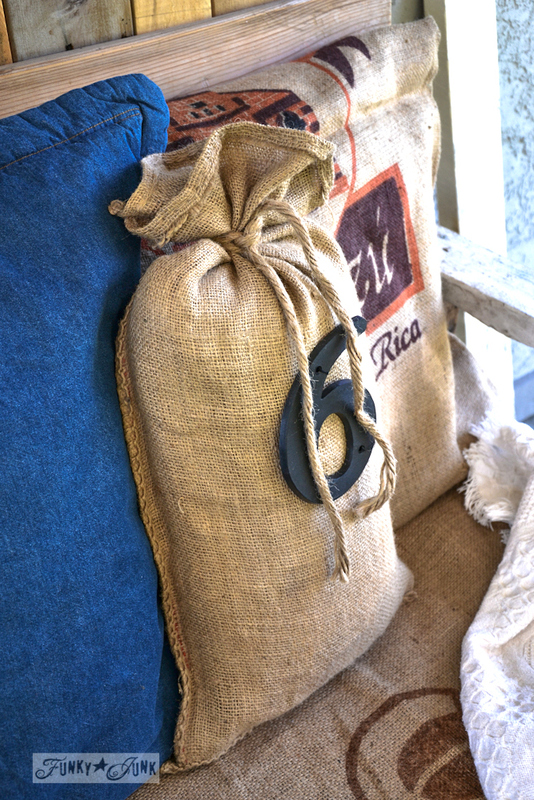 I am loving your sac pillow with the #6 on it – your pallet bench? Awesome job!!!! Link them all! 🙂 Cannot wait to see! Thanks so much for hosting Donna! Have a fabulous (sunny, warm) weekend!! Thank you so much for hosting your sweet party, Donna! 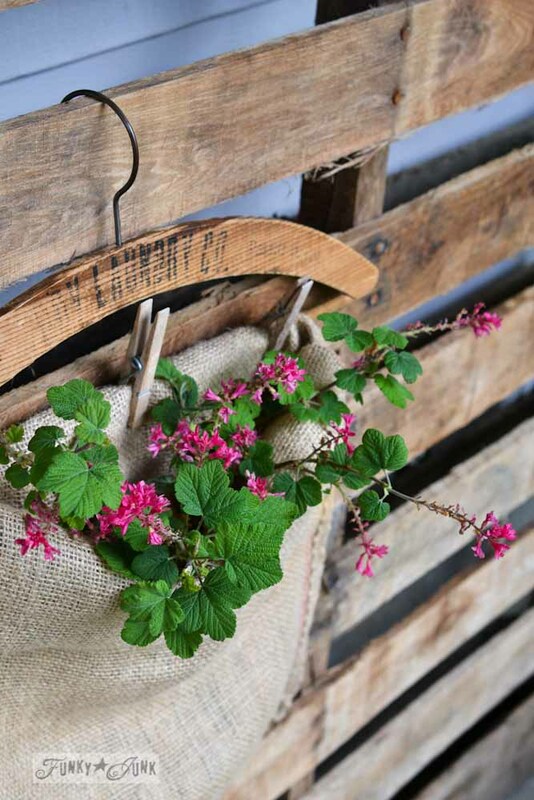 I adore the sandbag flower hanger!! Thanks so much for the party, Donna. Have a great weekend! thanks for hosting! appreciate the “business” it will give me…hopefully. have a great night! Thanks so much for hosting another fun party! 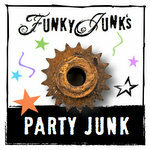 I am always inspired every time I visit Funky Junk! 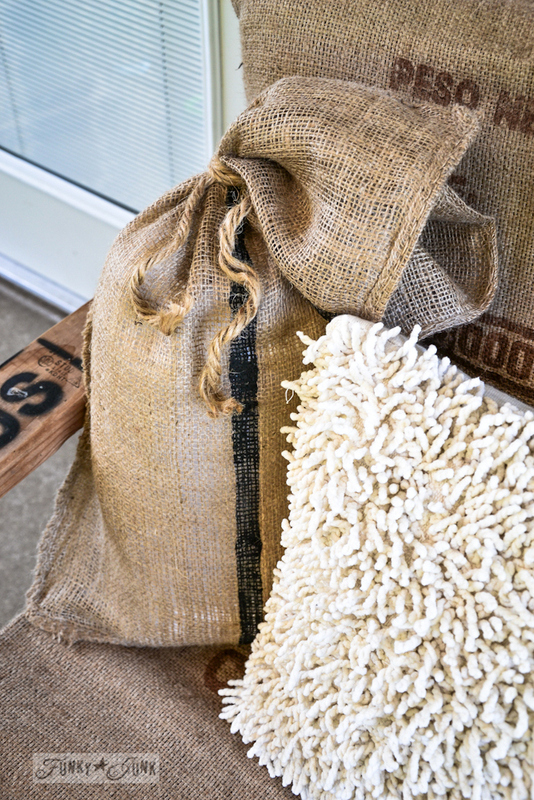 Lots of burlap inspiration to look through. Thanks so much for hosting and have a grand weekend! Hi Donna; I’m working it Kitimat and missing my Island garden but grateful for the work. 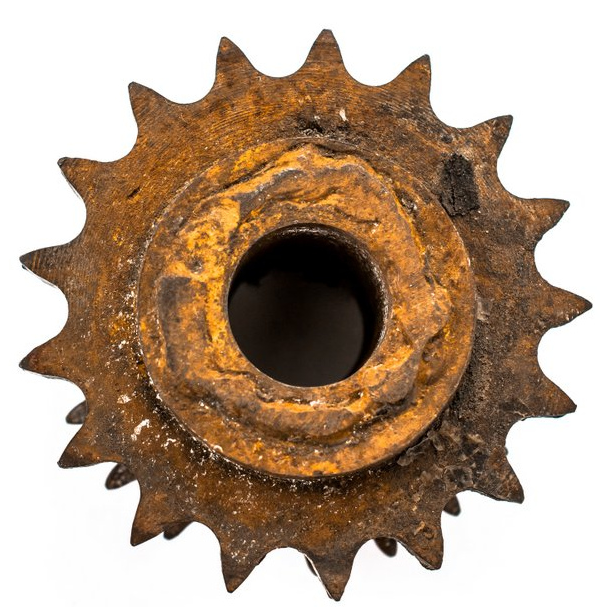 Posted a bit about work, visiting Kitimat and a few of my favorite collectibles. Thanks for hosting Donna, always look forward to joining in. Thanks again for hosting each week:-) I know what you mean in one of your latest post pertaining to not having time to work on projects any longer. That’s how I feel lately and I think I spend way too much time on the computer…dang Pinterest, anyways…LOL! Have a wonderful weekend….it’s gonna be 80 here. I’ll be out soaking it up! Hi Donna, thanks for hosting, I still have to link up my burlap projects, such a great ‘fabric’ for making stuff. Have a fun week. Hi Donna, thanks for the awesome Party…I am especially excited about the burlap ideas…I just “today” bought an burlap sack and needed inspiration on what to do with it! Hi Donna; thanks for hosting, always love joining in. Big party tonight. Have a great week. I love those burlap valances! What a fun theme! Thanks Patricia, doing better for certain! Thanks for the ROCKING party Donna!! Have a GREAT weekend!! I love love love the valances! Thank you for the party! Have a great weekend! Your burlap projects have me all revved up! Love ’em <3 Thanks so much for hosting another fantastic party. 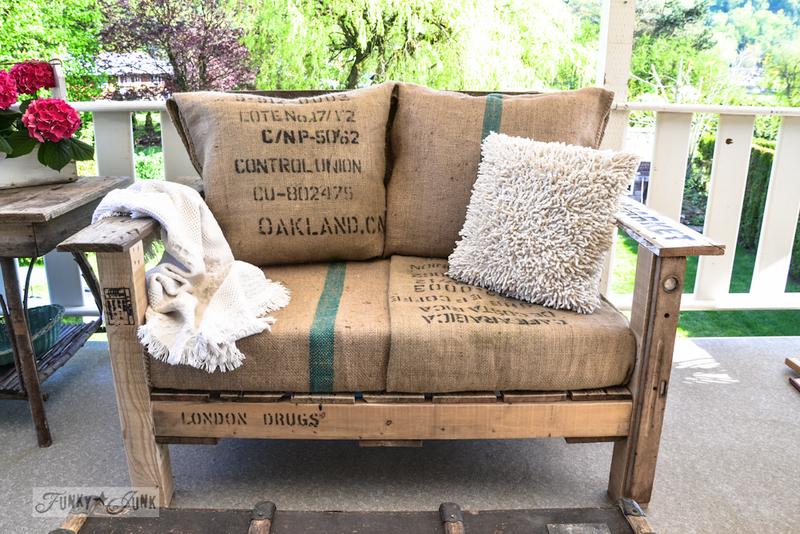 I’m crazy about your Bohemian pallet sofa with all the burlap upholstered cushions! Love the burlap sand pillows and window valences too. I guess I’m crazy about burlap due to your party this week! Hope you don’t mind, but I added two link-ups as I typically do not have a relevant “themed” project but I have done a few burlap things over the past year or two so had to jump at the chance to share them. Thanks! Thank you so much for a wonderful party every week Donna! Its been a while since I’ve partied with you, but I love burlap! I linked up with recent pics from a burlap and lace farm wedding. Thank you for hosting. Have a great weekend! I love this party because I can come back again and again for so many creative ideas. Love the burlap theme this week. Thank you for hosting! Hi, Donna! So glad to be partying with you this week. Thank you! 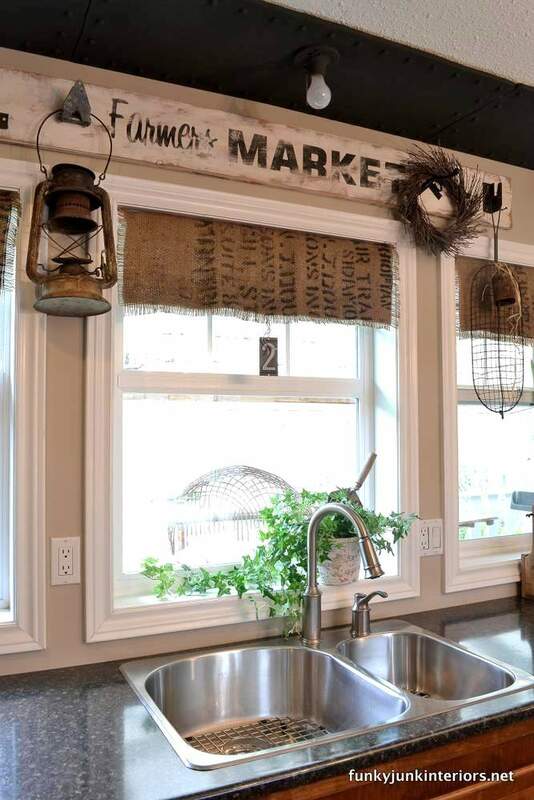 Love all the burlap inspiration! Thanks for hosting such a fun party. I love that there are so many different sorts of posts all in one place. Thanks so much for hosting your wonderful party, I always enjoy all the inspiration and linking up.